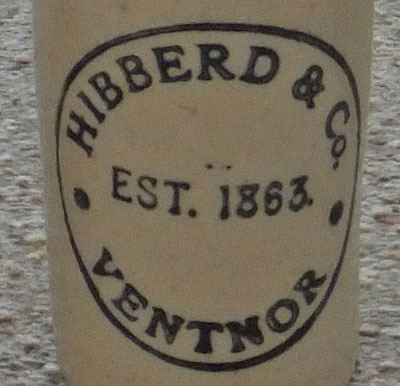 Charles Hibberd & Co were mineral water manufacturers of Ventnor established in 1863 by Charles Hibberd. It is shown in both a 1898 and a 1911 street directory, as having works at 10 North street, Ventnor. By 1911, Charles's grandson, George Stephen Hibberd, is shown as living at 10 North Street as 'Mineral Water Manufacturer and Firewood Merchant'. In 1921, the firm amalgamated with John Gould & Co. of Newport - the following year they would amalgamate with Randell & Co. of Ryde to form Gould, Hibberd & Randall Ltd.